Spet. 22, 2016, — Community Land Trusts have spread across the U.S. to sustain the type of land and buildings that most of its residents need. As the wealthy move into particular areas and drive up prices for land and housing, longtime residents often get pushed out of their neighborhoods. With the influx of luxury housing into Chinatown since 2000, longtime row house owners with limited resources for needed repairs are selling to new investors for top dollar, and low-income tenants are evicted in favor of higher-paying renters. Today’s prices—more than a million dollars for a brick row house in disrepair—are driven by the wild rise and fall of the market more than the actual condition of the building. The purpose of the Community Land Trust is to promote community ownership of land and housing in order to change this vicious cycle of the market. Properties owned by the community become permanently affordable, with values rising at a moderate level, based on actual investments and home improvements, not on market speculation. This helps people stay in and build a strong community for the long term. The Community Land Trust is a non-profit, based on the idea that housing and healthy communities are an important human value, not only a commodity to buy and sell. Community Land Trusts can be used to create and maintain affordable housing, community gardens, small business space, community services, or urban farms. Neighborhoods are increasingly using Community Land Trusts to sustain themselves for their current residents. The recent establishment of Boston’s Chinatown Community Land Trust has that goal. Community land trusts are based on the idea of separating ownership of land from buildings, with the community’s goals for the land written into the deed. While this may seem strange to many, in much of the United States, those who own the land are different from those who own the buildings on the land. In fact, the federal government owns the majority of land in five states, and over forty percent in four others, including California, and then leases some of the land to various individuals or companies. This arrangement is also true for state government land, Native American lands, and other entities, like the lands of the former King and Queen of Hawaii. This separation of land ownership from ownership of buildings is not that unusual in the U.S. The ownership of the land by the government intends to preserve the interests of a group, such as the people of the U.S. In the same way, a community land trust intends to preserve the interest of the community. Land trusts can keep housing on their land permanently affordable, as opposed to other subsidized housing that may change due to a change in ownership. Individuals who own buildings on the land trust get them at a cheaper rate and with lower taxes. Thus community land trusts make affordable housing more possible. Often, community land trusts lease the land to homeowners for 99 years, giving the homeowners long-term security. This arrangement has been successful in keeping housing affordable. During the recent Great Recession, when many individual homeowners were hit with foreclosure, homes on land trusts were rarely foreclosed upon. The community land trusts that owned the land would intervene to preserve the housing at affordable rents for the families so that they could remain in their homes. Because of the sharp loss of affordable housing over the decades, Boston, along with other cities, is also providing support for land trusts. In Boston, the most well-known land trust is the Dudley Neighbors Inc. land trust, based in Roxbury. That land trust has built and maintained hundreds of affordable housing units since the late 1980s. The City of Boston recently decided to provide technical support to a growing network of land trusts. Current and former residents formed the Chinatown Community Land Trust (CCLT) last year to stabilize the future of Chinatown. The CCLT board is elected every two years from members of the Chinatown community. 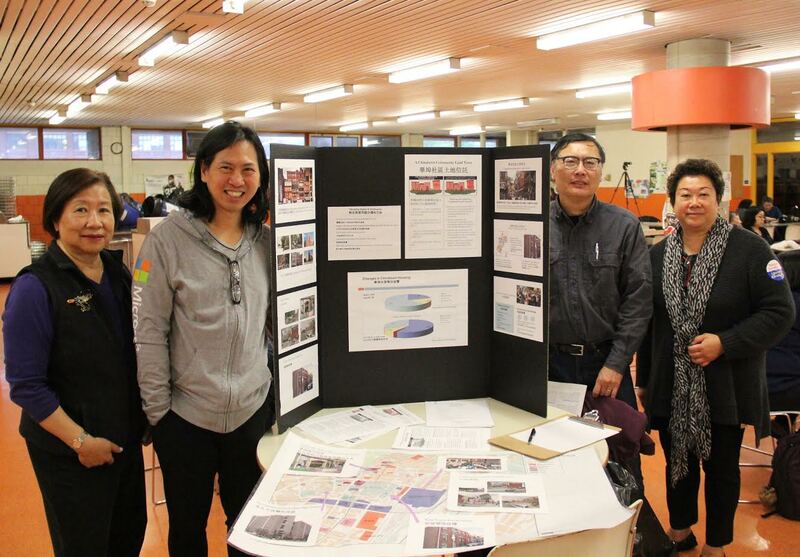 We have been in discussion with Chinatown landowners about selling or transferring their land to the community land trust for long-term preservation of affordable housing. The CCLT has been talking to city government as well, about the idea of community ownership of City-owned properties in the neighborhood, such as the China Trade Center. We are also asking longtime Chinatown owners to consider selling, donating, or offering the first option to purchase their property to the CCLT in order to preserve the community. Only in this way can we sustain Chinatown as a neighborhood for working class families and the elderly and as a regional hub for the Greater Boston Chinese community. For more information, contact ChinatownCLT@gmail.com.